We provide a wide range of services to residents and business and deal with thousands of enquiries every week. We aim to give you the best possible service, as outlined in our Customer Charter. However, we also appreciate there may be times when we don’t get it right and will do our best to put things right and learn from your feedback to make sure we continuously improve our services. If you wish to make a complaint please check our policy (outlined below). Please note: any complaints must be made within a reasonable time. What isn't classed as a complaint? The exceptions are summarised below - for further details please see our full Comments, Cmpliments and Complaints Policy. 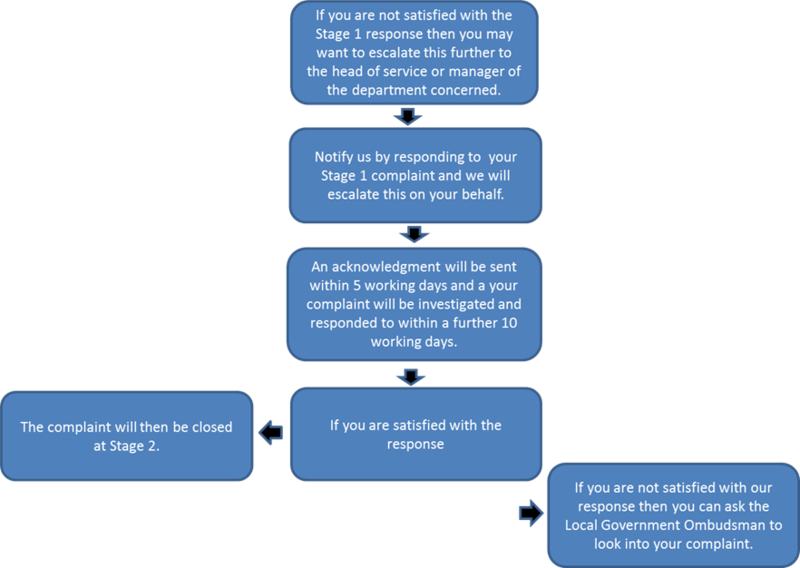 Our complaints policy is based on a two-stage process. However, we reserve the right to adopt a one stage response in appropriate cases. For example cases where there has already been a long period of correspondence or the nature of the complaint is such that an internal review of the complaint would be disproportionate or unlikely to affect the outcome. 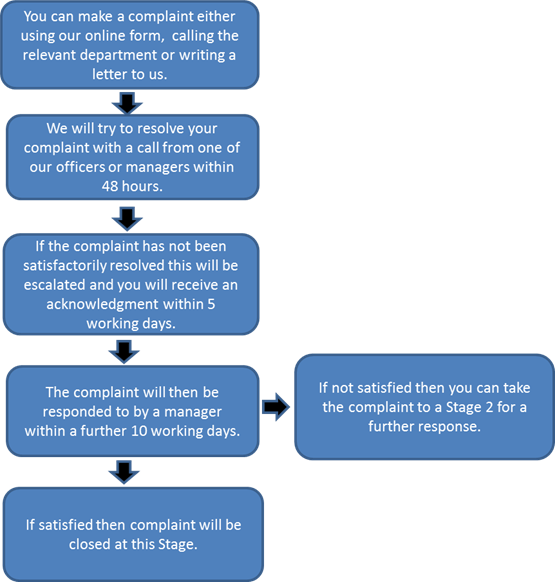 Our two-stage compliants policy is outlined below and a written version can be viewed here.